A new kind of pixel editor. 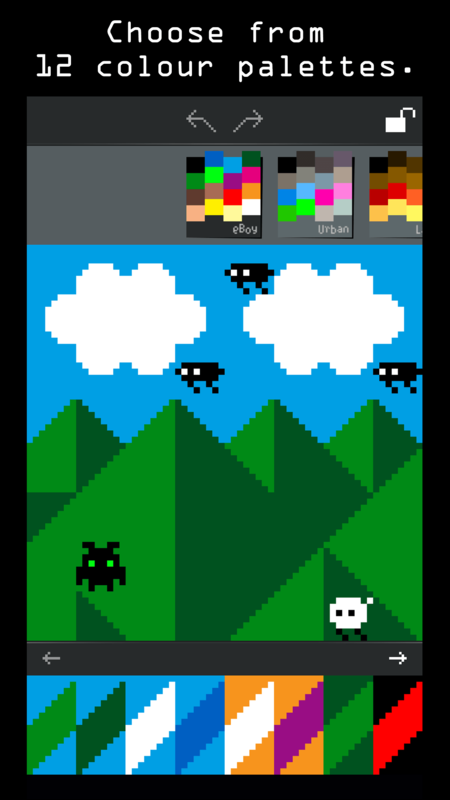 Make your own pixel tiles and arrange them to create beautiful pixel art. The Grix is fast, fun, simple, and surprising. By eBoy and Felt Tip. 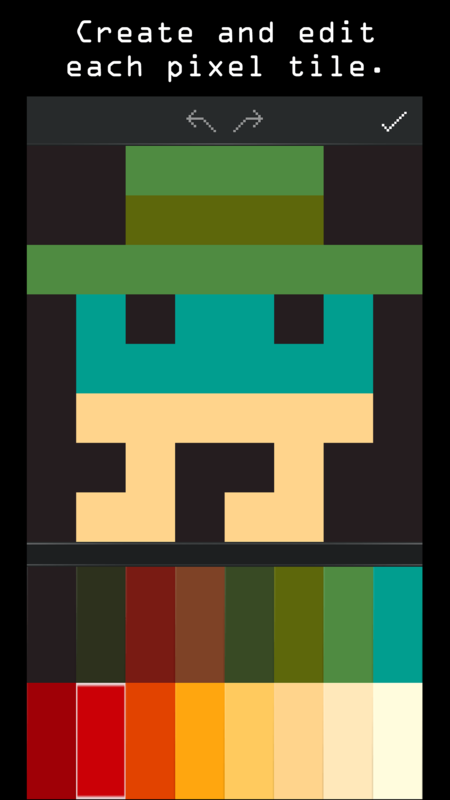 Create art with pixel tiles. Move, rotate, and delete tiles on the Grix. 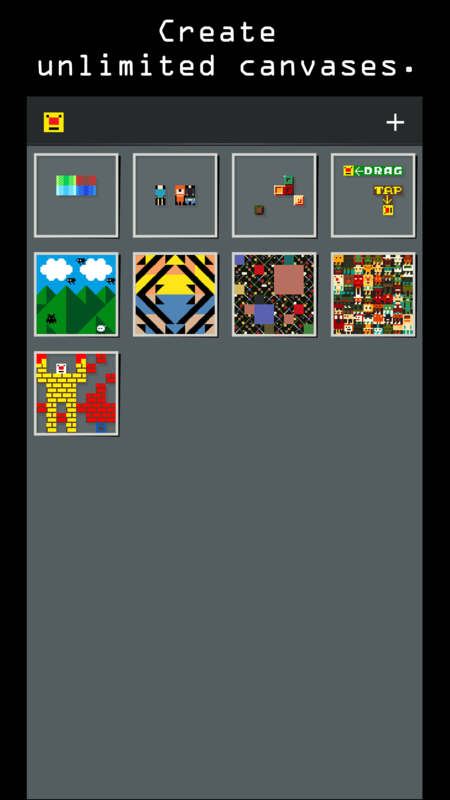 Create and edit each tile. Choose from 128 editable tiles for each Grix. Select from 12 colour palettes. Comes with 5 eBoy-made sample Grix. Post to Twitter, Tumblr, and Facebook. Email and share your editable Grix and tiles. 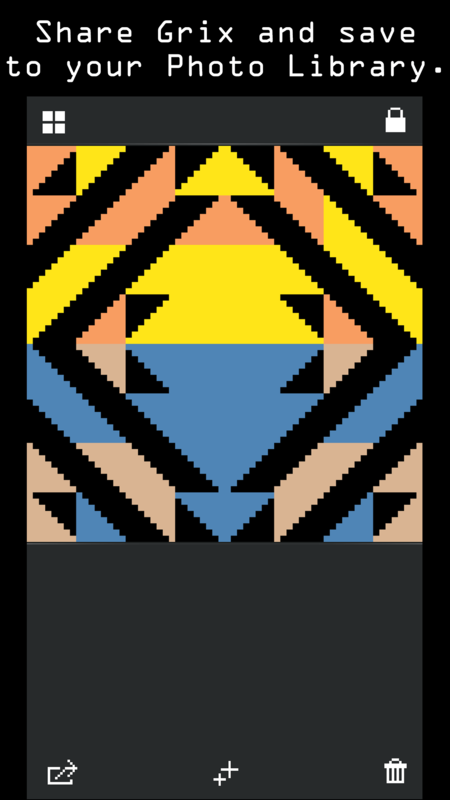 Best Pixel Editor in Town: The Grix. A simple drag-and-drop interface makes creating pieces a breeze; users can choose from several different colors and patterns with which to create their art. ...our friends at eBoy together with Felt Tip have brought something new and exciting. This is an awesome little app. So much care has gone into making it, and it shows everywhere you look. 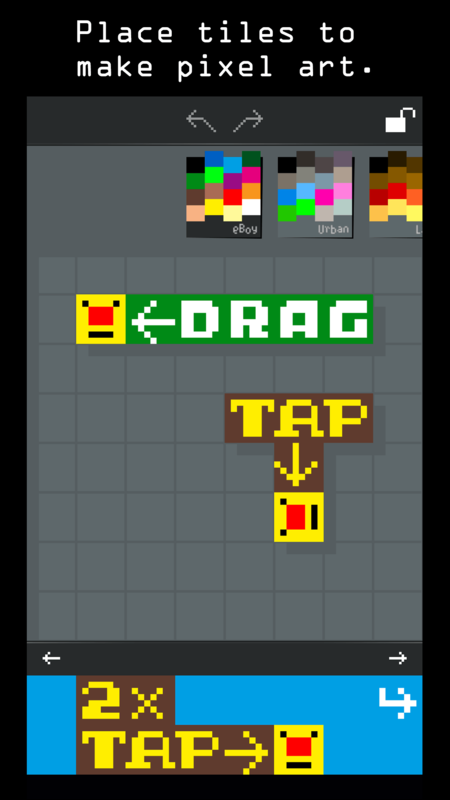 The sound effects are spot-on, the text labels for the color palettes are gorgeous, even the Share menu icons for Twitter and Facebook are pixellated. They’ve thought about every little detail.